Madonna’s publicist Brian Bumbery will leave his own public relations firm, BB Gun Press in September, to accept the position as Director at Apple Music Publicity. 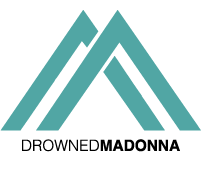 Luke Burland will take his place at BB Gun Press, becoming this way Madonna’s new publicist. Brian Bumbery has been Madonna’s publicist for a few years after her long-time publicist and friend Liz Rosenberg retired.